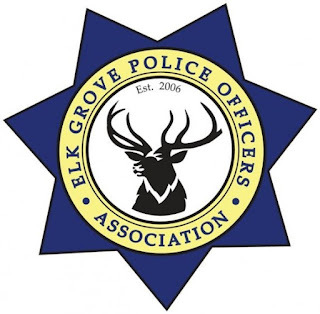 The Elk Grove Police Officers Association announced today the endorsement of Kevin Spease in his bid to be Elk Grove's next mayor. “We are honored to endorse Kevin Spease for Mayor," Officer Greg Moore, President of Elk Grove Police Officers Association said. "He is not only a leader in the community but shares our commitment to keeping our community safe. Spease is one of six candidates seeking to replace outgoing Mayor Gary Davis to the two-year term. Although there are six people in the race, only Spease, and Elk Grove City Councilman Steve Ly have organized significant campaign operations and are the presumed front runners. Last week the Elk Grove POA also endorsed Elk Grove City Councilman Steve Detrick in his reelection bid for the city's District three seat. Detrick has two announced opponents as he seeks a third, fourth-year term. Of non-partisan institutional endorsements in the race for Elk Grove mayor, the Elk Grove POA is one of three of the most sought-after by candidates. The other major endorsements are from the Elk Grove Chamber of Commerce and the editorial board of the Sacramento Bee. “As Mayor, my top priority will be protecting residents from crime and gangs," Spease said. "To do that, we need to invest in retention and training and technology to keep Elk Grove a safe place to live, work and raise a family."